When Will the 2019 Mazda6 Be Arriving at Dealerships? 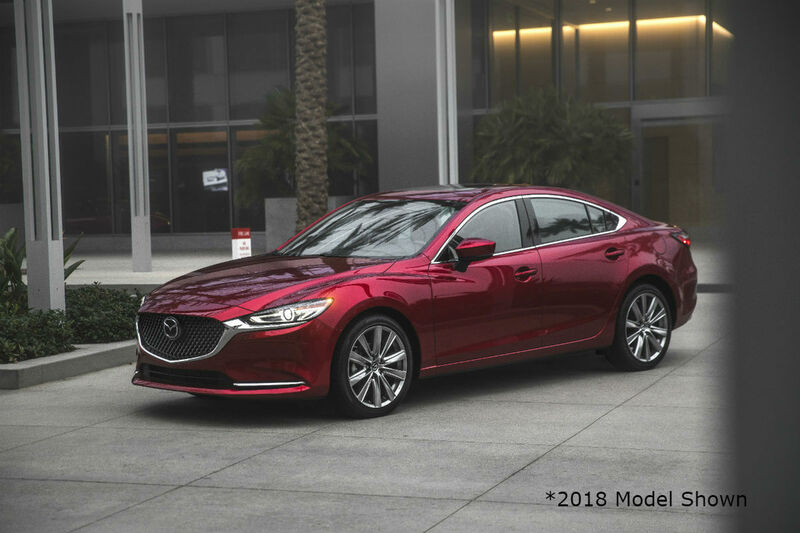 Home » Mazda6 » When Will the 2019 Mazda6 Be Arriving at Dealerships? When is the Expected Release Date for the 2019 Mazda6? The Mazda6 is one of if not the most complete sedans available and the 2019 model year only expands upon its superiority. The 2019 Mazda6 will once again get adorned with the unmistakable KODO: Soul of Motion exterior styling that wraps the Mazda6 in long flowing body lines for a sleek and sporty appeal. Rumors are swirling as to whether or not the 2019 Mazda6 will see a slight facelift form the 2018 model year but we are pretty confident that at least the front fascia will get revamped for the new model year. Learn more about the expected updates inside and out for the 2019 mazda6 along with the anticipated release date below. What Updates Will the 2019 Mazda6 Receive? We do know that the 2019 Mazda6 will once again offer two engine options, either a 2.5L SKYACTIV®-G 4-Cylinder or a 2.5T Dynamic Pressure Turbo SKYACTIV®-G 4-Cylinder engine. The Turbocharged engine works solely with the SKYACTIV®-Drive 6-Speed Automatic Transmission while the 2.5L 4-Cylinder engine has the option of either the 6-Speed Automatic or a SKYACTIV®-MT 6-Speed Manual Transmission to deliver a premium driving experience as well as optimal fuel economy. 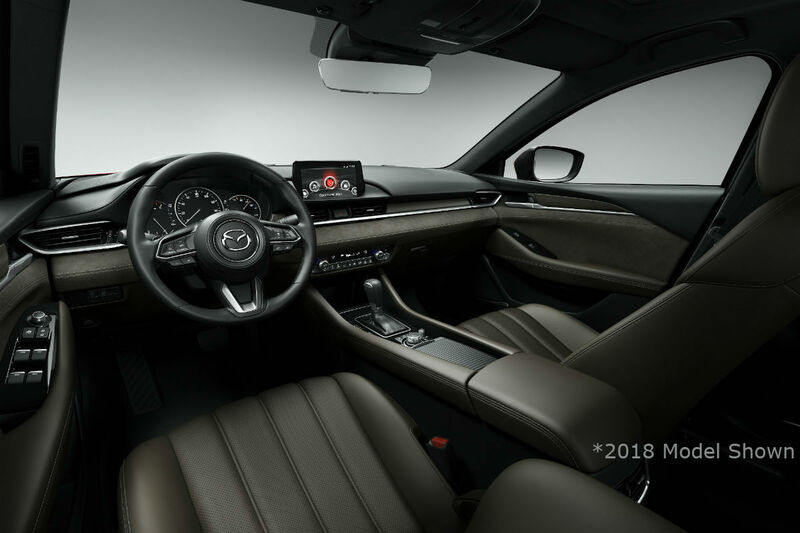 The 2019 Mazda6 is expected to see most of the new model year upgrades within the interior and with its standard safety features. The standard 7” Color Touchscreen Display is now reconfigurable so you can keep information most important to you right at your fingertips. 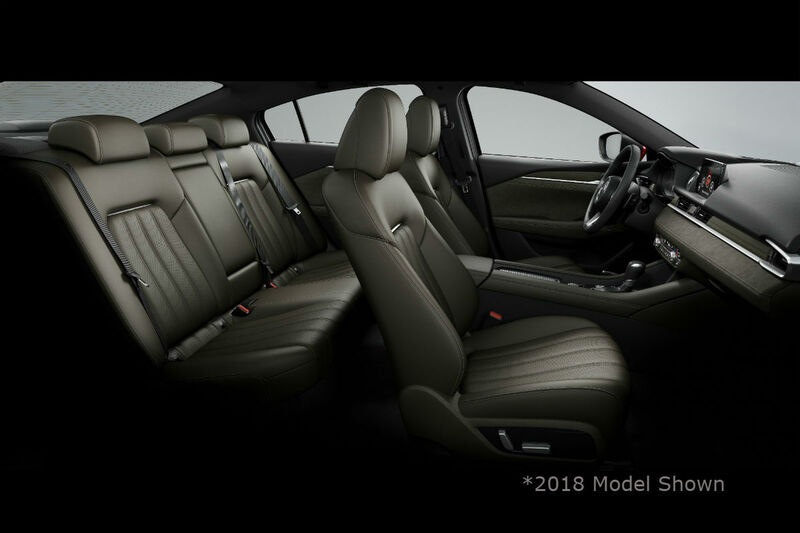 For 2019 front ventilated seats are available for the first time in the Mazda6 and Nappa leather seat trim and UltraSuede NU accents will be offered on the upper trim levels of the 2019 Mazda6. The 2019 Mazda6 will also make available Apple CarPlay™ & Android Auto™ in conjunction with its standard MAZDA CONNECT™ infotainment system. Safety systems that are new for the lower trims of the 2019 Mazda6 include Low-Speed & Full-Speed Emergency Braking, Lane Departure Warning, and Adaptive Cruise Control. The attractive 2019 Mazda6 is expected to begin production in early 2019 with an anticipated release date of April 2019. Stay tuned to our blog for more information and future updates on the release of the 2019 Mazda6. When Will the 2019 Mazda3 be Arriving at Royal South Mazda? How Long Do the Warranties on My Mazda Vehicle Last? What are the Passenger & Cargo Capacities of the 2018 Mazda6? What 2018 Mazda Models Make a Sunroof/ Moonroof Available? What's the Difference Between the 2018 Mazda3 & 2018 Mazda6? This entry was posted on Monday, November 5th, 2018 at 9:23 pm	and is filed under Mazda News, Mazda6. You can follow any responses to this entry through the RSS 2.0 feed. You can skip to the end and leave a response. Pinging is currently not allowed.